This summer the University Library upgraded Mediasite to the latest version. During the next months and in cooperation with the faculty video coordinators, UM Library’s Education Support Team will examine the changes and added features of the new version and deploy them were desirable. Mediasite is the video platform used by Maastricht University (UM). Among others, it is used for lecture recordings. Using an extensive authorisation structure, it also enables teaching and supporting staff to make videos available to specific persons or groups. 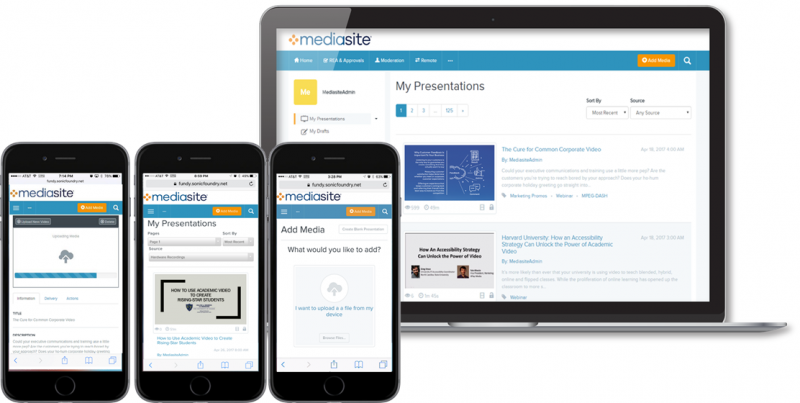 All UM employees have access to MyMediasite. This software enables you to upload videos to the Mediasite platform and share them with students or others, from inside and outside UM. For more information see VideUM.nl, the UM support portal for video in education and research. 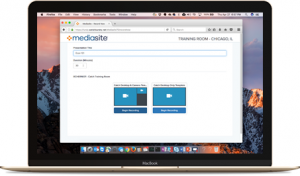 MyMediasite allows UM teachers and students to record screencasts and video from any device.The vendor SonicFoundry has improved the user interface and made it more useful and user-friendly. The enhanced user interface allows easy sharing of videos, which can also be embedded on any page. 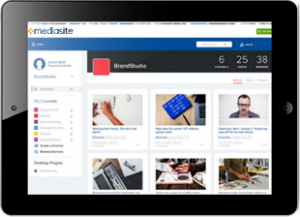 Users can ask and answer questions and create polls and quizzes in MyMediasite. Last but not least, an improved search makes it simple to find videos. Mediasite Catch is capture software for room-based recordings. It is great for spaces with limited technology or budget constraints, because it uses existing podium PCs in the classrooms. It supports automated, scheduled and ad-hoc capture while working with the existing hardware and technology inconspicuously in the background. You are using everything that is already in your room. You do not have to do anything because your presentations are already scheduled to record. Record Now is a new streamlined interface, a way to control how you are recording within a room. The idea behind it is that users can go into a Mediasite-enabled room and record a presentation with the click of a button. It works with Mediasite Catch and any hardware Mediasite Recorder. Record Now detects the hardware and capture devices that are installed, as well as room configurations. All you have to do as a user is give the presentation a name, set the duration and select from the pre-configured room recording options that pop up, such as ‘desktop only’, ‘desktop and camera’, etc. This is great for those unplanned moments when you need to record something fast. 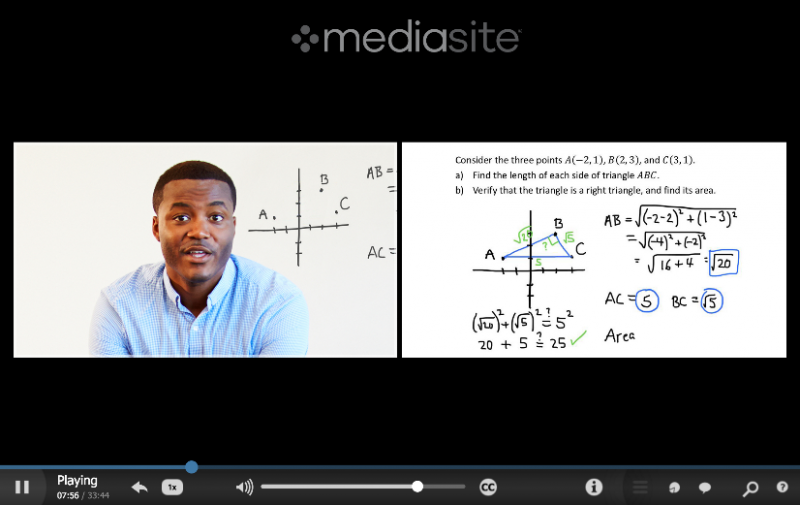 Embed quizzes into Mediasite presentations for students to take on any device and automatically score quizzes and export the results. Viewers watch the presentation like normal, and when quizzes pop up the video pauses and resumes once the quiz is completed. Add comments and discussions to specific spots in videos. These clickable annotations call out certain topics to the viewers who can either watch the presentation normally and have the annotations pop up in the corner, or go to a list of annotations to jump to a certain spot. Use polls in live videos to gauge students’ understanding of topics in real time. Viewers are also able to ask questions to the presenter, either live or on-demand. Create secure, customisable video portals with Mediasite Showcase. Users can create, spotlight and watch content in the Showcase. They can comment on the videos and build playlists to share with colleagues and classmates. Showcase’s rich search and social sharing capabilities promote content discovery. Please contact UM Library’s Educational Support Team via Ask your Librarian.